Institute for extraordinary work assisting with power restoration following Hurricane Irma. Gulf Power accepted the Emergency Assistance Award in January. Connally said he is proud of his team for this honor. He’s also proud that in 2017, J.D. Power ranked Gulf Power among the 10 highest in satisfaction for residential customers of about 118 utilities across the country, and that the utility completed three big solar projects located on Navy and Air Force properties: approximately 1.5 million and a half solar panels, enough to power roughly 18,000 homes. Connally became president and CEO of Gulf Power in 2012. His career with Southern Company is much longer, a 29-year path including prior leadership roles at Georgia Power, Mississippi Power and Alabama Power. He now serves on the board of directors of Capital City Bank Group, Florida Chamber of Commerce and Enterprise Florida, where he is vice chair, and serves as a member of the Florida Council of 100. 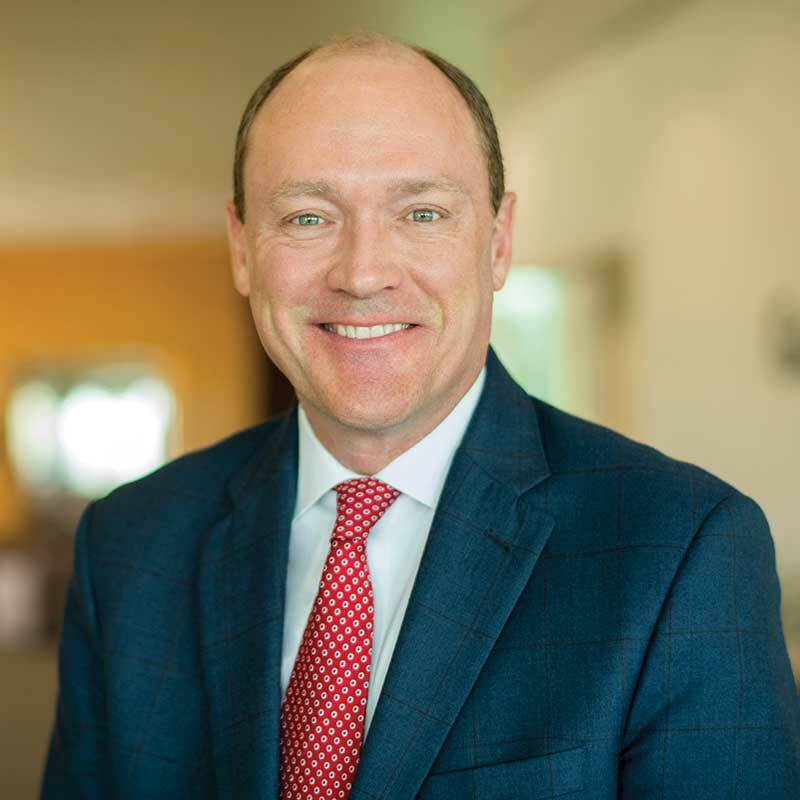 In April, Connally assumed responsibilities as executive vice president of operations for Southern Company, while continuing to lead Gulf Power. Headquartered in Pensacola, Gulf Power serves almost half a million customers across Northwest Florida. Connally will serve as chairman, president and CEO of Gulf Power through the company’s sale to NextEra Energy, which is anticipated to close in the first half of 2019. Based in Juno Beach, NextEra Energy employs approximately 14,000 people in 33 states. 850: What drew you to this work? Stan Connally: When I was in fourth grade, Georgia Power — a sister company of Gulf Power — sponsored a tour of a power plant in my hometown. I was simply amazed at the scale of it. I really enjoyed seeing how big pieces of equipment work together to produce electricity. It was really the start of my interest in the power business, which in many ways is so complex. As time has gone on, I have learned a lot more about what it takes to serve our customers, and how much I enjoy working for our customers has kept me in this business. Are there past mentors, bosses or colleagues who have influenced how you lead? What guiding principles do you use when making a critical decision? First, keep the customer at the center of the decision. As you make investment decisions or service decisions, make sure that you always keep the customer in the middle of the conversation. I think that serves us really well. Second, recognize that decisions impact your team members. This can be a very hazardous business that we work in, and whether it’s in a power plant or out on the grid or in a call center, we recognize that decisions impact not just work lives but personal lives of our team members. We want to make sure whatever we’re doing supports their livelihood. You also have undertaken considerable service roles as a director for other organizations. How do you approach this work? Service in these organizations is an opportunity to make me a better leader and is consistent with who we are at Gulf Power. It is an opportunity for us to give back to our state, our region and local communities. Many of the organizations I’m in help me shape the future of our state, make it more competitive and make it a place where even more people want to live. What do you wish more people knew about your business? For customers, many days, we are simply a switch that turns on a light. I wish every customer could get to know the Gulf Power team behind the switch — how hard they work to make that light come on, their character and how much they care. The other thing I wish people knew about our business is how delicate a balancing act it is to deliver safe, clean, affordable and reliable energy. I think sometimes it’s easy for groups with a particular interest to focus on just one piece of that, but our customers want us to do it all well. They want us to deliver energy that’s safe for them, safe for all people and safe for our employees. They want clean energy too, more so today than ever before; we’re growing our renewable energy mix. Customers want reliable energy. And, they want it to be affordable. The point is making sure we keep it all in balance to ensure we’re giving our customers the best possible value. What about your day do you enjoy the most? I enjoy family time. Many of us put in way more than 9 to 5 every day, whether it’s physical or mental. Just being able to focus for a while with family is where I get my energy. Being able to enjoy Northwest Florida with my family motivates me more than anything.